“You are what you eat”, you might have stumbled upon these wordson several occasions in your life. This proverb basically implies the importance of a balanced and healthy diet in our lives. An unhealthy diet can take a toll on our health in the long run. Sticking to junk food, high cholesterol food for a prolonged period can cause serious health complications. Obesity and cardiovascular disease are the most common in people who rely on unhealthy food. On the contrary, a well-balanced diet promises a healthy life and better fitness. Due to the monotony and tight schedule of the modern world, most people do not prioritize the importance of a healthy diet and often rely on binge-eating. In addition to that, certain harmful addictions like smoking and consumption of alcohol worsen the situation. It’s high time for people to prioritize their health in order to reduce the risk of complications in later stages of life. Diet and exercise are key factors that contribute to the overall fitness of every individual. Being fit gives you opportunities to expand your horizon and push your limits by participating in numerous interesting activities. Running a marathon is one of them. However, if you are planning to run a marathon anytime soon, there are some dietary and lifestyle changes that you might need to make. Below are the details of the diet you should follow while preparing for a marathon. Plan your macronutrients wisely.Macronutrients,i.e carbohydrates, fats, and proteins are essentialelements of a balanced side. Carbohydrates act as a fuel in long distance running. Complex carbohydrates take more time to digest, thereby fueling you with long-lasting energy. Therefore, complex carbohydrates must be preferred over simple sugars. Protein in the growth and repair of muscles and fats are known to boost the endurance in athletes. A perfect balance of macronutrients can prepare your body for a marathon in a better way. While training for the marathon, it is equally important to keep yourself hydrated by drinking water and energy drinks at regular intervals. While training, it is essential for you to know your limits. Don’t push your limits too often as it might lead to unexpected injuries. It is good to begin with gauging your running experience prior to an upcoming marathon. How long have you been running? A few days, a few months, a year or a few years? This information helps determine two things: Your existing running pace and the number of miles you can cover at this pace. On the establishment of these stats, begins the real training procedure. It is advisable to have a professional trainer to help you build the strength and stamina for the marathon. In case this is not feasible, then a guide in the form of any health and fitness apps can help you stick to a schedule comprising of cardio training and strength training. The app will do all the work for you, viz. To conclude, while running a marathon, you must always be vigilant about your safety. 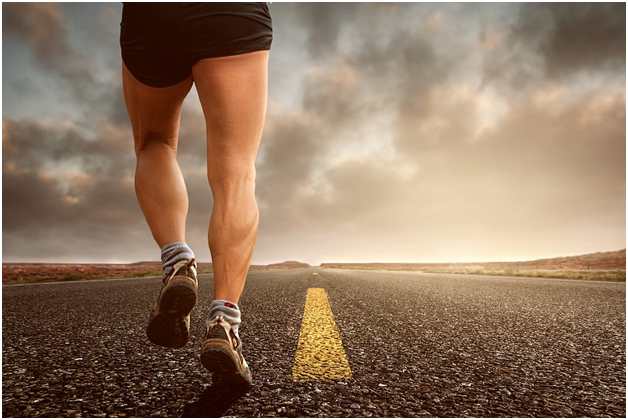 Better preparation will definitely enable you to run a marathon with ease.